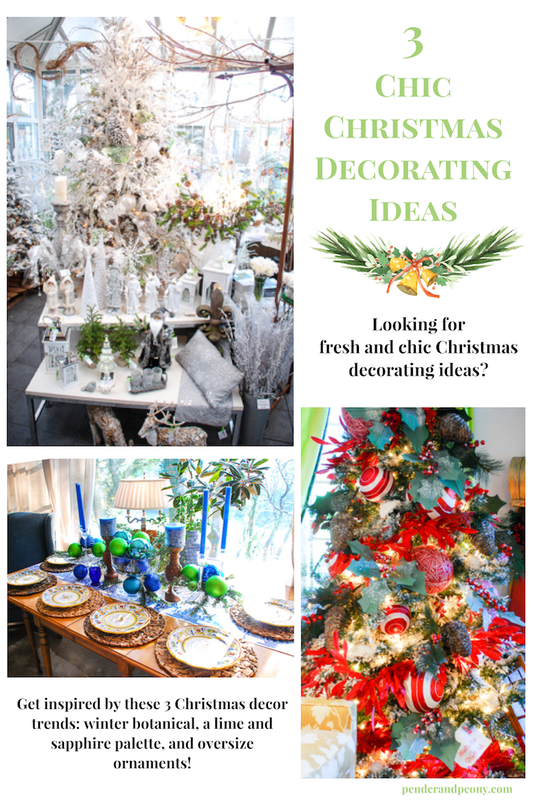 Looking for fresh and chic Christmas decorating ideas? Get inspired by these 3 Christmas decor trends: winter botanical, a lime and sapphire palette, and oversize ornaments! I will always love traditional Christmas decor, but I also enjoy mixing it up and trying new color schemes or unexpected decorative accents. This year in perusing Pinterest and shopping in some of my favorite Christmas decor stores, I’ve noticed 3 chic Christmas decorating ideas that I wanted to share with you lovely peonies. 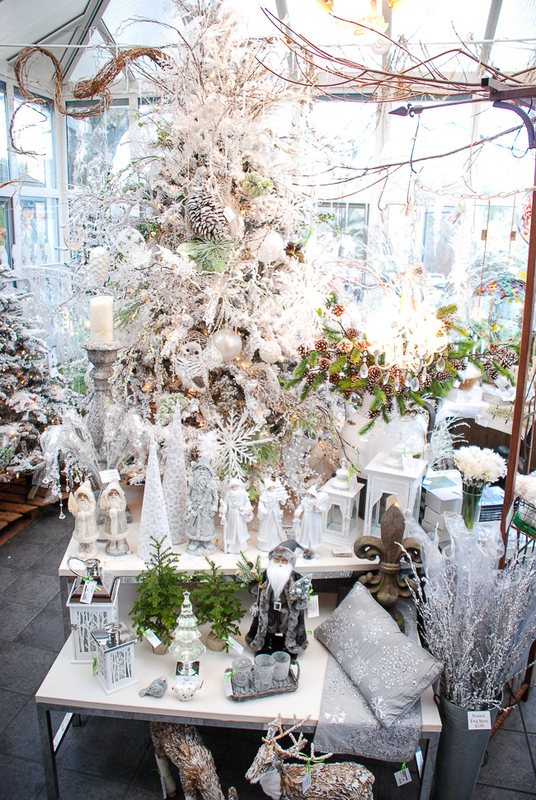 The first chic idea is winter botanical. This decorating theme is a garden inspired winter wonderland style filled with beautiful green tones and an abundance of white. 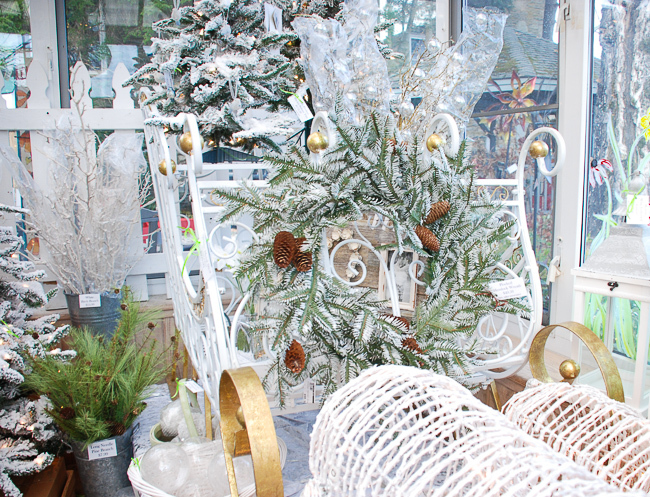 Think fresh greenery, snow covered boughs, woodland creatures, and pretty florals. 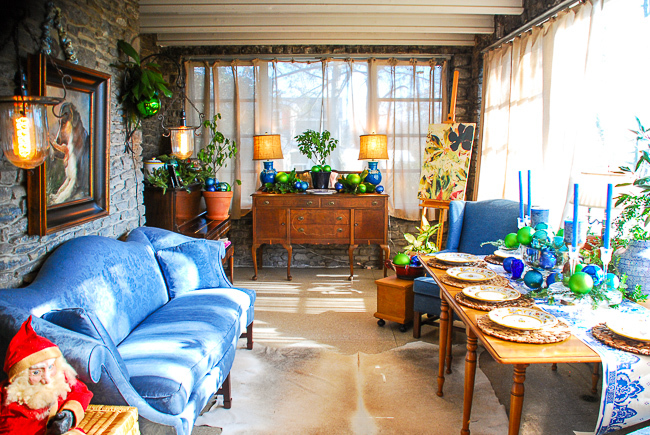 While shopping in Blowing Rock, N.C. at the Last Straw this Christmas decorating theme filled a whole room. I love the vibrant green and white color combo. It is so fresh and simple. 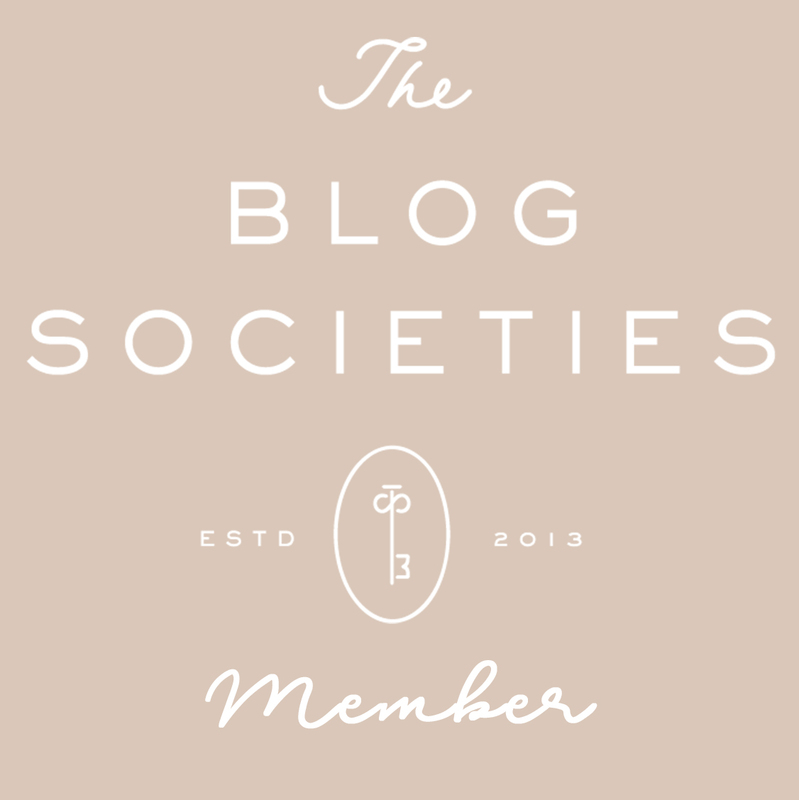 This theme has a rustic glam quality that is really chic! 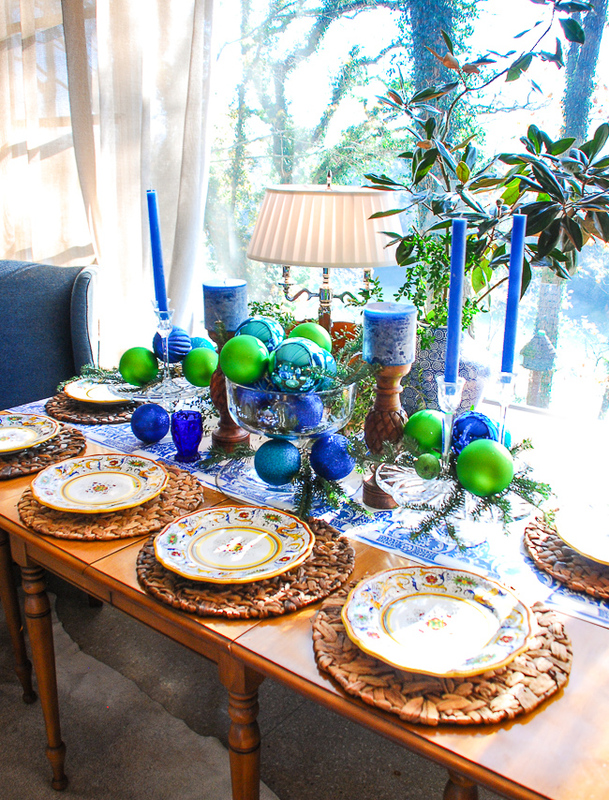 The next chic Christmas decorating idea I want to share with you is a color scheme of lime and sapphire. This theme is bold and playful, and it is perfect for those looking to shake things up this holiday season. I love it because it is so easy to pull off. Chances are you already have one or both of these colors in your current Christmas decor, so all you need to do is pair these two colors together, and let them take over a room or table or tree! 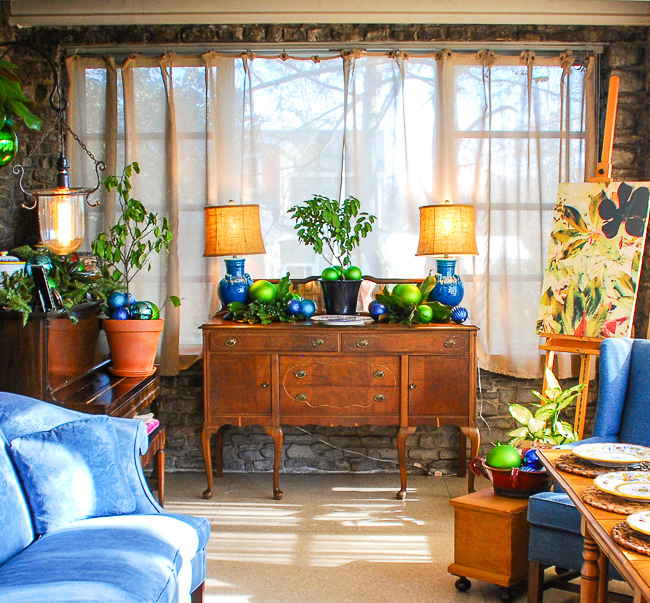 The wonderful gals over at Hoskins in the Flat, a floral, design, and gift shop in Clinton, T.N., created this beautifully decorated room. They let the color palette of the room influence the Christmas decorations and filled the space with pretty ornaments, candles, live greenery, and china in lime and sapphire. The effect is simply stunning! The third of my chic Christmas decorating ideas plays up the iconic Christmas ball to merry effect! The right proportions are always important when decorating, but this doesn’t mean you can’t get creative and use exaggerated proportions to achieve certain styles. 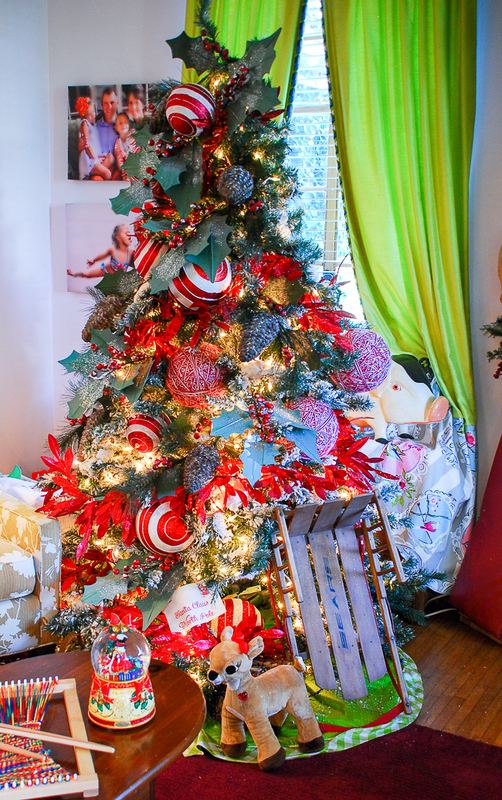 The oversize ornaments on this Christmas tree are playful and help create a wonderful whimsical feel! 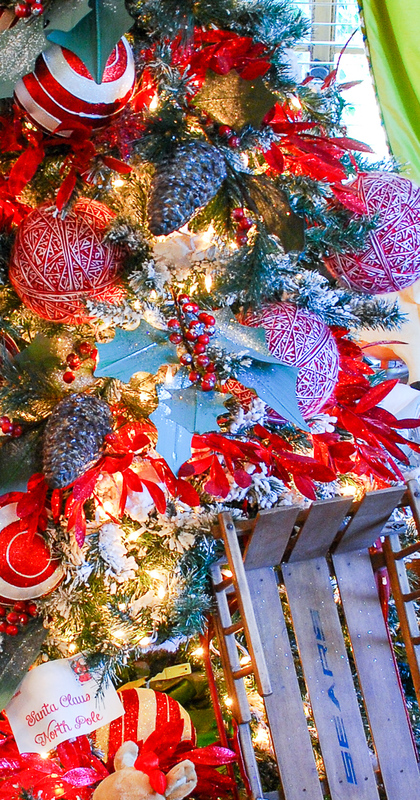 An extra bonus with using oversize ornaments is that you can buy and use less of them to decorate an entire tree. 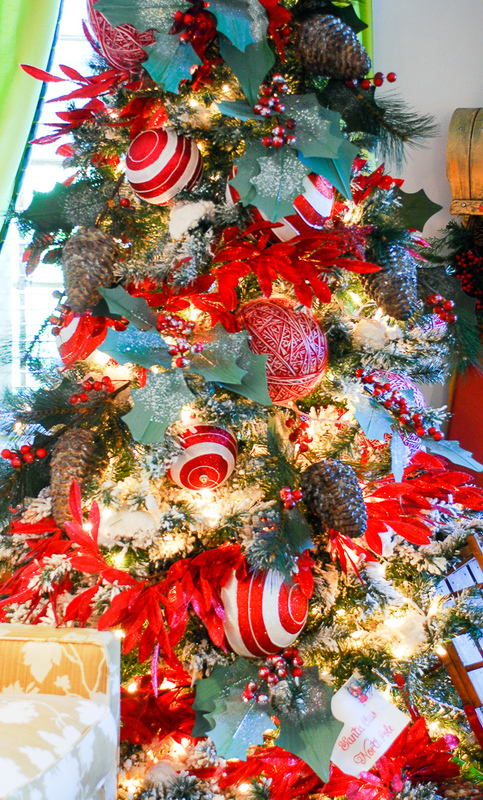 Oversize ornaments are also great as outdoor decorations hanging from a tree in the front yard or your porch. You could also use them to fill a window box. This tree is another fabulous creation from Hoskins in the Flat! Be sure to check out their shop when you are in Clinton. 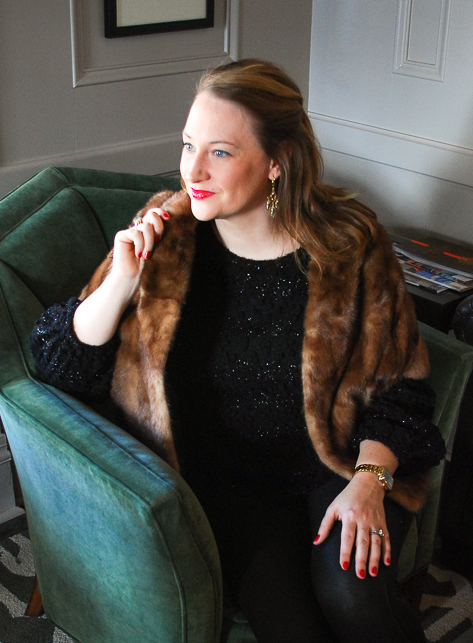 I hope these 3 chic Christmas decorating ideas inspired you to deck the halls this holiday season! These are so pretty and I’m partial to the Winter Botanical.